In 2008 the EAAB (Estate Agency Affairs Board) tightened the requirements for entry into the field of Real Estate. This preceded a drop in the South African market following the devastation in the American mortgage market. The recession in South Africa saw approximately two thirds of estate agents who had registered in 2008 leave the sector to re-qualify. It is estimated that there are an estimated 40 000 estate agents in South Africa today. The transformation of the industry since the 2008 regulation change and the subsequent economic slump has seen a surge in job creation and especially a new generation of young black South Africans entering the real estate sector. Getting qualified as an estate agent today is relatively easy. Online courses can be completed in concert with the required internship. This is imperative in order to provide the young and aspiring estate agent with the correct training opportunities so that they are well equipped to earn a decent income working in an industry that is extremely fickle. The basic requirements for starting a career as an estate agent are not that complicated. The first thing that an applicant needs to complete is the 12 month internship being mentored by a professional and experienced estate agent. The second is to complete the FETC (the Further Education and Training Certificate) in Real Estate at level NQF 4. Lastly candidates must also write and pass the Professional Designate Exam (PDE) after they have been found competent by Services SETA in their NQF Level 4 portfolio of evidence. If an agent wants to further extend his education in order to become a principal and run his own business he must be found competent in NQF level 5 and PDE level 5. It is possible to combine the FETC NQF 4 qualification and the internship so that the candidate can work on these two aspects of the qualification at the same time during the first year of internship, as long as the estate agent has completed at least 8 months of his internship. Also if the aspirant holds any degrees or diplomas in certain areas, it is possible to apply for and be exempt from completing the FETC. Inquiries about exemption status can be directed to PropAcademy who assist you in completing the required EAAB documentation. We are also RPL agents and can assist applicants in applying for exemptions. Sign up for our Recognition of Prior Learning (RPL) EAAB Exemption Application Service here. One of the advantages of studying (online for example) and getting qualified while working and gaining experience in the field in an internship is that of being able to learn and earn at the same time. It is also possible to study part-time and still be in a position to have practical experience and keep a job. Online learning also facilitates the ability to carry on working while getting qualified. Explore our online real estate courses, and get started learning today! The Real Estate industry is exciting and fast paced. Whether the market is booming or if it is in a slump, real estate is always something that will be in demand. In order to become the best real estate agent possible it is important to embody these characteristics. For further information the EAAB website offers a wide spectrum of material about the industry, the rules and regulations, and everything else that one needs to know to become an estate agent. Do you think the requirements to become a real estate agent will easier going into the future? We see property portals like Property 24 and Private Property making homes easy to sell and other companies giving all the resources that before only agents had access to. All the information is accessible over the internet. Estate agencies are lowering commissions and offering for the landlord just to walk through the home with potential buy and agency will handle the rest. Will it be easier to become an agent in the future? I finally wrote the exam & whist writing the exam the Person overseeing the exam got a call from a lady at EAAB to say they need to add a last minute paper whih he then had to quicly print for us.Long story short – we landed up running out of time. The gentleman said the EAAB would contact us with our results. Well i am still waiting??? When i phoned them they said i had failed. Considering the amount of money i spent the least i would expect is some feedback on where i lost marks ect. I would like to complete my PDE4 & move on to study for principal,but am very concerned about how things are conducted. i am interested in studying but i am unable t o afford the fees. i am currently working as a trainee agent ? You have a year from when you first obtain your FFC to complete your internship portfolio of evidence. If you cannot do it within that period and have a valid reason, the EAAB will extend your period from one year to two years. As an agent you will be earning commissions – why not ask your agency to loan you the funds? The cost of our course, as far as we are aware, is dramatically lower than others offered. No intern agent is allowed to earn commission……being an estate agent is so easy, EAAB can’t police agents and only interested in taking the R2000 per year from registered qualified agents for CPD. We have many unqualified so called intern agents selling homes without a valid FFC (fidelity fund certificate) an intern must have a FFC as well……so don’t worry about getting qualified they will never check. The only way to stamp out illegal agents is for transferring attorneys to attach a copy of the agents certificate to the sales agreement. We have told EAAB this but they refuse to make this simple process legislation…..
Hi Garry – thanks for your comment above, most interesting ! And we understand the general frustration legal agents have in the field, its hard toeing the line when you know that other competing agents are illegal and are not stopped from trading. The only way to do this is to report them to the EAAB. Intern agents can and must earn commission during their internship. They have to be mentored by their principal agent or a full status agent that has been full status for 3 years or more. There is a ruling that attorneys can only pay agents/agencies who produce a valid current FFC, so this on its own will stamp out some of the illegal trading. Its up to us, as agents, to report those trading illegally and more – help them to become legal. The EAAB are randomly auditing agencies that are registered with them – there has to be a way to let the EAAB know of illegal agencies so that they can audit them as well. Any solutions to this problem? Hi Gary, how enforceable is this? And how does one go about reporting such agents? More than 3 years intern agents, that is 80% of our office!! Thank you for your message. Samantha from head office will contact you today. Looking forward to helping you with this adventure. Hi Jenefer what is the price for this course. Good day Nicky. Our prices are all on the individual course pages. Please click on Courses – and then choose a course from the list. We will be happy to call you about these if you use the contact us function on this website. Chat soon! Congratulations on your decision to become an estate agent! First you must approach an agency for a position as an intern estate agent. Once you have a letter of employment you must apply for a Fidelity Fund Certificate (FFC) with the Estate Agents Board : http://www.eaab.org.za When you have a FFC number then you can start your internship with us! Our intern course is on special at R3 990 at present – so dont delay. Visit our Intern Course on our website and follow the prompts. Download our free “Courses and Qualifications” guide to understand the process from intern agent to full status agent. Contact us when you need more information. Good luck! Hi Janet I have matrix and am interested in becoming a real estate agent, can I persue my interest? Thank you for your enquiry! You need to have matric in order to progress to NQF Level 4. ABET Level 4 is equal to Grade 9. We suggest you study Grade 10 & 12 and then approach us again to study NQF4. If you want to go this route let us know so that we can refer you. 1) Where and which courses to study. My cell number is 0824649892 please call me. Thank you for your query. Samantha from Head Office will contact you today. i am interested in joining the industry of Real Estate, and becoming an estate agent and someday to own my own franchise. I have matriculated and a Diploma in commerce. Graduated in 1987. Are my qualifications adequate to be able to start the process of becoming an agent. What is the cost of doing the programme. How long does it take to complete the course. What is an approximate salary at entry level for the intern agent. HAHAHA there is NO salary for being an Estate Agent. It is the worst job available, and the EAAB makes your life unbearable. Almost half the registered agents have left now, I am seriously considering doing the same. I am sorry to hear you have had such a bad experience in the industry. If you need assistance with the EAAB, please click on the contact us page and send us your information, I will gladly refer you to someone who we use for all our EAAB correspondence. Real Estate must be the most exciting career, I hope that you follow your dreams. I suggest that you first read through the Estate Agents Affairs Board (EAAB) site: http://www.eaab.org.za to understand the industry. Your first step would be to approach an agency for a position as an intern agent. Regardless of qualification, you must complete your one year program in the field. Thereafter you will enter a Recognition of Prior Learning assessment where past qualifications will be taken into account, against your ServicesSETA NQF Level 4 qualification. See our free download on qualifications. Only once you have achieved principle agent status will you be able to open your own business. Our courses and qualifcations take you from Internship to Principle and further. Let us know when you are ready so that we can help you with a program. Or call us. Please go onto our website http://www.propacademy.co.za and read our free download “Qualification Guide”. Here you will understand that you first have to be employed by an agency in order to receive your Fidelity Fund Certificate. Then a one year internship with that agency, and from there you study to be qualified as a Full Status Agent. I’m interested in doing this part time. Is it allowed and what qualifications are require. Thanks for your enquiry. The Estate Agents Affairs Board legislates that whilst completing your year internship you may not work elsewhere, real estate is no longer a “part time” career. Please open our free downloads on our home page http://www.propacademy.co.za which downloads detail what qualification are required and how they can be achieved. You are more than welcome to call our office to discuss your needs or let us have your detail so that we can call you. The 12 month internship is legislated by the Estate Agents Affairs Board and is compulsory. Our office will email you to find a way to assist you further. Please can you email us your cell number : [email protected] Thank you. I have been employed in the corporate environment for many years and am interested in formalizing a career in the property sector. I have attended many courses but I have yet to complete a formal degree due to work constraints. As such I have completed many commerce subjects through UNISA. I also have completed a NQF level 6 course at Unisa Centre of Business Management. How do I find out what additional subjects I must do to convert my current studies into the correct NQF qualification to proceed with the next steps of pursuing a career in property? I am aware of the 1 year internship that needs to be done in addition to the formal qualification. Thanks for the info. I would like to know is it a advantage if I studied civil engineering at school and I’m currently studying Project Management? Does it have something in-common between the subjects and being a real-estate agent. Thanks for your time. Hi. I am 40 years old and in an established career. However, I am exploring the idea of changing careers to becoming a real estate agent. I have no doubt that I will be extremely successful. I have a very good understanding of the industry as I have been working very closely with real estate agents for the past year. My problem is I can’t give up my day job (I have bills to pay) to become an intern for a full year. How do other people do it that change careers to real estate quite late in their lives. Looking forward to your feedback. Hi Cornelius – The Estate Agents Affairs Board have regulated that all estate agents, no matter what their prior profession, must complete a 1 year internship under the guidance of a principle agent. Please can you call me on 082 4751607 to discuss this further? If you feel that you want to be in the industry then you should – real estate is an extremely exciting and rewarding profession. Hi Janet isn’t it possible to keep my job while on the internship. Because as much as real estates is rewarding. It is commission based. I am interested in the Property Market but I don’t think quitting my job to go on an internship would be a wise thing to do. Unless if you know of a way around it. Your response will be very much appreciated. Hello Tshilidzi, please write to us on the “contact us” page with your contact number and we will call you to discuss this. We would love to make contact and assist you in this regard. Please also feel free to contact us on 082 4751607. In summary you must join an estate agency, buy a Fidelity Fund Certificate, purchase our Intern Course and start selling! While you are an intern your principle agent will guide you. Please remember that from sale to registration (money in the bank) takes three months so allow for a 6 month period where you will have to be subsidized by your family – but once you are up and selling your money will then be coming in on a regular basis. If you or a family sponsor would like more information please feel free to contact us, or let us have your cell number so that we can contact you. I am 55 and a pensioner. Was in Information Technology at a bank before retirement. I am also aware that I need to find an agency to belong to, to start off with. Although I am 55, my health is excellent. I am a cyclist for 15 years now. Nothing else that will prevent me from becoming an agent, is there? The only thing that would prevent you would be if you were an unrehabilitated insolvent or had a criminal / fraud record. 55 is the right age to join this amazing profession – take the plunge. PropAcademy have excellent courses for all your estate agent needs, just give us a call if you have any queries. Im currently working in a stable corporate environment. I have a Diploma in Cost and management accounting I want to do a career change and join the estate and become an agent. My problem is that at the current moment im earning a stable income (to pay my bond, other bills). So far the info that i keep getting when seaching is one should be an intern. So would that be a challenge for me persue my career change as a estate egent? What will be your best advice in my situation. I would advise that you get aa much learning under your belt as possible. As you know you have to be an active agent in the field for a 12 months period and produce a portfolio of evidence of this to the Estate Agents Affairs Board. Whilst doing this you must be registered with an estate agency and hold a fidelity fund certificate.. Please contact us on the link above and send us your cell number so that we can discuss this further with you. 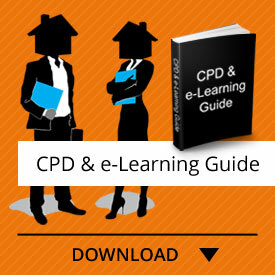 Please look at the free download on our home page, Courses & Qualifications. This is an easy to read description from entering the industry to becoming a Principle Agent. During your internship you can sell property, or rent property the only difference is that your principle agent must sign off all of your paperwork. You can also start learning your next qualification NQF Level 4, during this period. Some agencies do pay their interns, where they received a bursary from ServicesSETA. Let us have your cell or contact details and we will contact you to discuss this. Just click on Contact Us above and we will get right back to you. Property is an exciting industry and very rewarding. With real estate you will have to have “back-up” income for at least the first three months in the field. So as they breadwinner in your family you may need to loan money from other family members etc, then join an estate agency and throw yourself into being a success. Good luck! You will be earning an income whilst you are an intern agent and you can also apply to do your internship with an agent that has bursaries for interns. please contact us on the link above and we will contact you to work through your queries. I missed this blog – deepest apologies, Samantha will give you a call during the course of today. I would love to become a letting agent…not interested in selling. What is the procedure and what does it entail to become a letting agent? Whether you become a rental or sales agent in real estate, the same procedure applies. Please see our free download on our home page “Courses & Qualifications” which takes you through the procedure from intern agent to principle agent. In short you must become an intern agent and produce a portfolio of evidence over a 12 month period and progress from there to be found competent in your NQF 4 qualification – once done you must write your PDE 4 exam and voila! you become a Full Status Agent. Please call us on 0824751607 and we can discuss any queries you may have. I understand that in order to be an estate agent, one is required to do a internship and required NQF level course, but what stops someone from selling their own house on gumtree and saving on the commission? Would this transaction be seen as illegal? Hi Neil – anyone can sell their own house. The problem here is that most owners dont know how to negotiate and generally end up getting less money than they would have, even after paying a commission. It also opens the home and family up to strangers who may or may not be genuine buyers. You cannot just hold a show house inviting strangers into your home – agents have had thieves and even criminals enter show houses. You must also be aware of legalities that you must make your purchaser aware of as if you do not, the purchaser could sue you for performance at a later stage. But if you feel you are capable of selling your own home then you will save on not paying commission. You could then appoint a conveyancing attorney and ask that attorney for a standard sale agreement, you should not have to pay for it, the attorney gets paid by the buyer on registration of sale. If you sell your own home remember this registration process must be carefully tracked to ensure that you do not lose time/money in a delayed transaction. I’m still in school doing my last year. I want to go and study in order for me to become an estate agent but I don’t know the requirements and the points I need to have in order to become one. I would like someone with more experience to please advise me. Hi Matthew. Firstly you will need to be subsidised by your family for six months. The reason is that it will take 3 months to find your feet and start making sales, and then 3 months for your sales to be registered so that you can be paid commission. Thereafter with consistent hard work your sales should be regular. You will also have to have a car. Once you have sorted out funding, then you need to apply for a job as an intern agent with an estate agency – and here we can advise you area dependent. It is important to ensure that the agency you work for, gives you the best advantages in the industry. From there you must have a fidelity fund certificate and enrol with PropAcademy to complete your intern and NQF qualifications. Please see our homepage free download on Courses & Qualifications. Matthew we would love to chat to you give us a call on 082 4751607 or let us have your detail. Good luck !! I would like to persue a career as an estate agent. I am 52 years old and I was in corporate for 20 years, but I do not have a matric certificate. …..I wrote matric I 1980 but failed matric by 3% and obtained a secretarial diploma. Can I still have a career as an estate agent? Hi Debbie ! You dont need a matric certificate to write your NQF4, we have two modules in our course which covers matric maths and second language – and they are easy to follow. The average age of an agent (out of interest) is 57 years young. So take the leap! Send us your contact info and we will get hold of you and explain the process in detail. Hi. I am interested in becoming an estate agent, but I am currently studying towards a tertiary diploma. Will it still be possible to enroll in the course to become an estate agent and how? Please contact me on 0726888863. Hi Khulekani. Samantha in our office will call you today. The office cell number is 082 4751607. Hi. I am very much interested in becoming an estate agent and possibly start my own firm. Please contact me on 0797168046. I am a qualified teacher with a degree and post graduate diploma. I am very much interested in becoming an estate agent. I wish to know how do I qualify for exemption. Thanks for your enquiry. In order to determine what unit standard/s in the NQF4 SSETA qualification that you will be exempt from, we would need to assess your current degree and post graduate diploma to determine what subjects relate to the real estate qualification, and allow you credits for those subjects. Some degrees allow you to be totally exempt from the NQF4 and / or NQF5 qualification. Please let us have your cell number and Samantha in our office will contact you to discuss further. Just click on the CONTACT US tab above and send detail. I’ve a full licence as an Agency Principal having fulfilled all the mandatory modules of the Real Estate Institute of Queensland. I have 2 years experience of sales and lettings in Queensland. I also have formal Prince2 (Projects in Controlled Environments) and Managing Successful Programmes project management qualifications issued by APMG London under my belt. After 15 years in project management In London have moved back to Cape Town and am keen to get into the local real estate market. Do I really have to start as an intern or does my prior real estate and project management experience count towards anything? From your enquiry it seems your qualifications will carry credits and you may be exempt from your SA internship as well as your NQF5. We are an accredited RPL provider and would need to assess your current situation in detail to correctly advise you. Please let us have your contact detail and we will be in touch. If you are acting as a real estate agency, or employing agents to sell for you, then you need to be registered with the Estate Agents Affairs Board and you need to meet the regulated qualifications. If you are acting as a land owner (a developer or investor), and dealing in property for your own benefit, then you are not obliged to register as an estate agency. On the other hand your business may expand to that of estate agency so it is advisable to start the process of qualifiying as a principle agent. Please email us your contact detail and we can discuss this with you in more detail. What qualifications does one need to become a commercial property broker? Does it also fall under EEAB? Do I really need to go the INTERN way? Am so interested in these course.i have a matric with bachelor but i failled accounting?what must i do to be a real estate agency?can u help me to get agent for intern? We have responded to your email. Please can you send us your cell number as well, by clicking Contact Us above or by responding to the email that we have sent to you. Hi I am currently working as a conveyancing secretary dealing with transfers and bonds. I have previously completed the EAAB examination in 2007 and want to know how I can qualify to become an estate agent with the aim of opening my own agency. Would I have to rewrite the exam? I am also concerned with the 1 year internship as I cannot leave my day job at this point in time. Is there another way of qualifying? Any advice would be much appreciated. Please click onto our home page and then read our free download “courses & qualifications” which explains the newly legislated education laws. In order to assist you fully we would like to discuss the process with you, please send us your email and cell number by clicking on Contact Us above. Thanks ! My name is Ntombi ,and would like to become a real estate agent. I am currently working in a sales industry and would like to pursue the real estate career path. What must I do in my level to obtain that qualification and start my venture into a new career path. Hi Ntombikayise – please go onto our home page and open the free download “Courses & Qualifications” which will answer your question in detail. To assist with bursaries etc please contact Samantha at our office 082 4751607. I am a qualified Conveyancer. Is it possible to open my own estate agency and be the principal? Is it possible to send you candidates to do their interin training in this business? Hi Ron. Thanks for your enquiry, Samantha will be contacting you today to discuss your query. In the meantime you can view our free download on our homepage called “Courses & Qualifications” which clearly explains the regulated education process. In order to become a full status agent you must complete your internship, your NQF4, and your PDE4. Then to become a principal you must complete your NQF5 and PDE5. Hi there I’m not at all into the real estate business or study. I want to study real estate for business of course but I’m working full time in an engineering field, where can one go to study part time? Hi Ishmael, Samantha in our office will be giving you a call. I read the comments and the one issue which is a challenge to many is the internship. As much as I understand the necessity of completing the internship on a full time basis, I also understand that it is impossible to leave a permanent job with a permanent monthly income especially in this economic climate. Yes, many of us dream to be an estate agent but realise that it is impossible. I was just wondering whether special arrangements could be put into the regulations to accommodate those who will not be able to complete the internship as prescribed. I am currently living overseas and would like to study becoming an estate agent. Are there other possibilities to study online because I won’t be able to do the internship now? Hi Andre. Yes you can study now to become an estate agent. Please download our free Courses & Qualifications on our home page, which clearly sets out the qualification procedure. You can start learning the knowledge component of your Internship which will be submitted with practical in a portfolio of evidence. You can also start on your NQF4 which is a government, ServicesSETA regulated qualification. Before submitting your NQF4 portfolio of evidence (completed course) to SSETA you must have completed a years internship at an estate agency. Please give us your information on the “Contact Us” button above, include your skype address so that we can discuss this further. Thank you . Hello Lindy, that is fantastic news! Welcome to the industry. Please click on the “Contact Us” tab and send us an email with your information and contact details, and we will call you shortly to discuss. Our Durban office number is 086 111 22 81. Hi! I want to be an estate agent part for now because I have lot of thins to pay, I’m an educator, please help. Please can I ask you to complete the “Contact Us” above so that we can call you. Let us know a time that suits. Hi Arthur – please contact our office on 086112281 or complete the Contact Us info tab and we will contact you. There is a process where we will assist you in the know how to apply for an internship and even a bursary. Looking forward to hearing from you. Hi There! I am currently running a business for approximately 7 years with my husband. I would like to venture into real estate however, I do not have any experience. I currently hold a Bachelor of Technology Degree in Management through DUT. How can I get started? I am very keen and want to take action immediately however, I do have a challenge as I currently run a business, how do I become employed as an intern for 1 year whilst running my business? Please advise if this is still possible for me. My email is [email protected]. Thank you for your comment, Samantha has been in contact with you. Let us know if you need further assistance. im wanting to take over and buy my Aunt’s business of property management and rentals. Do I need to do any courses in order to do this – i will not be selling homes at all – just managing them and renting the out for the owners over busy periods. Thank you for your comment. In order to become a Property Managing and Rental Agent, you have to be registered with the EAAB and hold a valid FFC. By holding a valid FFC, you are then a registered real estate agent. You have to complete your internship, your NQF4 and your PDE4 in order to become a full status agent. From there, to run your Aunts business, you must complete your NQF5, PDE5 and have a couple years experience in managing an agency to become a principle. Please go to the contact us tab and email us and we will give you a call to discuss. I HAVE A B IURIS DEGREE (LAW) WHICH SHOULD GIVE ME NQF 5 EXEMPTION . MY QUESTION IS : CAN I START MY OWN AGENCY WHILE DOING THE 1 YEAR INTERN OR MUST I FIRST DO THE INTERNSHIP ? You can do your NQF Level 4 Real Estate Qualification without having to do your Estate Agents Affairs Board intern logbook 12 month course. Please click on the “contact us” tab on our webpage and we will call you to discuss your options. Thank you for your query. Please click on the “contact us” tab on our website and we will get in contact with you regarding your options. good day. i am interested in becoming an estate agent. i am in east London. where can I start? I have a bachelor of accounting degree. Do I qualify? Good day Phelisa, that is great news, the real estate industry is a brilliant industry to be in. We will be able to guide you along the way. If you could click on the contact us page and email us, I will respond with advise regarding your degree. Looking forward to assisting you! Please advice if it’s possible for one to pursue a career as an estate agent while they are working their 8-5 job ? If I want to pay my own fees how much would it cost me? Good day Hope, thank you for your query. I would like to call you to discuss your options. Please click on the contact us page and send us an email with your contact details so that we can be of assistance. Hi, can i become an estate agent if i am a foreigner living in South Africa (with a valid work visa)? or do i need a study/work visa? Good morning Tim, thank you for your query. As per your request I have replied via email. I am interested in being a real estate agent and first i always want to know how in demand are the real estate agents in SA and how do I study with you guys when I am working full time and what is the minimum acceptance qualification do i have to obtain for me to study with you guys and how long would it take for me to actually start working after the training. Good morning Thandazo, you have some great questions which I would like to contact you about. Please can you click on the contact us tab above, and send me an email with your number, I will call you to discuss! Chat soon! My name is Pumza.I have a a diploma in Marketing,I want to study and be a real estate agent but I am blacklisted , do you think that will deny me an opportunity to become a real astate agent? Hi Pumza. Thank you for your comment. Certainly not, please can you send me an email on the Contact Us tab and I will help you through this process. Hi Lindy, thank you for your message! Samantha from KZN head office will contact you today. I have a BCom Internal Audit honours and would like to change careers and become an estate agent. Would i qualify for the exemption because of the degree even though it is a different field? Good morning Bongo, if you could please contact us via email (on the contact us tab), we will happily send you the relevant information regarding your query. For exemptions, you need to be a registered estate agent with the EAAB. Once we receive your email we will be in touch! I m registered professional architectural draughtsman ,self employed.I like to include selling houses in my day to day jobs.Can this experience help me and how do I qualify.Do I have to complete an internship? Thank you for your comment Raymond, I would like to talk you through this process regarding your qualification and how it may motivate or exempt you from part of the qualifications process. Please send me your contact details via the ‘contact us’ page. You do have to complete your internship with a registered estate agency. I want to sell businesses do I still have to do the Estate agent course or is there another course for this .If you can let me know will really appreciate it . Is it possible to do the internship part time? I am currently working full time and I would like to join the estate agent environment when i can know I have secured income, I am a single mom. Hi Zoleka, thank you for your query. The EAAB confirmed that as long you are employed by a registered agency you will be able to apply for your FFC and in turn, start your Intern Logbook. Please use the contact us tab if you would like me to call you to discuss. Regarding the NQF level 4 exception , I hold a HIGHER DIPLOMA IN BUSINESS , would I qualify for an exemption? I completed my Diploma in 2007 and at that time it was the equivalent of an NQF level 6 , With 360 credits. Subjects passed , Financial Management , Business Finance , Marketing , Executive development & Human Resources. Im currently doing my internship and am in possession of a FFC. Good day, please contact us through the contact us page so that I can send you relevant information as they are attachments. Thank you for writing to us and I look forward to helping you! Hi,I’m Leon.do i need matric to become a real estate agent? Good day Leon, thank you for your question. No you do not. You will just do a bridging course on Maths and Literature, which is nothing daunting. I’m a students and would like to study part time to become an agent. What steps can I take to study part time. Lets discuss your options – please call us on 0861112281 or click on “contact us” above and we will call you. For a clear understanding please read this blog https://www.propacademy.co.za/become-estate-agent/ it is on the “Blog” tab on our webpage. I have your contact details and will try call you today at 5pm as per your request. I’m a Licensed Real Estate Agent in the USA. Would I need to complete ALL of the above steps to be a Real Estate Agent in South Africa? I would like to become an agent on part time basis (maybe later go full time or own my own Estate Business),I currently have a full time job and work monday to friday 08:00-17:00. Is possible to get an agency that can allow me to work after 17:00 and on weekends? My attempt to get one failed please help me 082 696 9920. Good day David, thank you for your comment. I will call you today to discuss your options. I would like to know whether do you assist in finding an estate agent to do internship because it is not easy to find one by oneself. I am in east London and My number is 0838613020. Thank you. Thank you for taking my call. Wishing you the best in finding an internship! Why does an estate agent require the knowledge and understanding of economics ? Economics forms a large part of why investors invest, why people buy property. It is part of our profile. If you would like to discuss please click on CONTACT US above and we will call you. I am considering entering a career path in real estate and have contacted a few agencies to hear about their available internship programs. I am however still working and until I found my feet within this new industry I would like to work on a part time basis as an intern. I read on this website that there’s an option to do your internship on a part time basis. Could you maybe advise some of the agencies that allow part time interns? The ones that I have contacted all require full time interns. Hi Simone, thank you for your message and the call. If you need further help please let me know. Thank you. Good day Tibini, thank you for contacting us. Our head office will call you shortly to assist you. Hi Rene, I have tried to contact you, please let me know when it is convenient to call again. Chat soon! Hi Lungie, thank you for your comment. Please click on the contact us page and submit your details privately so that we can call you to advise. Thank you! I’m interested in the property sector and would like to become an estate agent. I hold a bachelors degree in law – LLB. My modules include law of property, conveyancing, notarial practice and law of damages. I would like to know if I can be considered for some exemptions on the compulsory course. 0747261493. Hi Mlungisi, thanks for making contact! You will need to compare your qualification and the subjects to the Equivalency Matrix NQF Level 4. This is found on the EAAB website as a download at the bottom of the page https://www.eaab.org.za/education/equivalency_matrices and exemptions are done directly through the EAAB or let us help you to ensure you get everything submitted correctly https://www.propacademy.co.za/course/recognition-of-prior-learning/ We will also call you to discuss this. Hi Mark, Thank you for your comment. I would need to obtain more information from you. Could you please click on the contact us tab, send us your details and I will call you to assist. I am currently working full time as an assistant accountant but would like to get my estate agency qualification. I can not leave my current job to do my internship as I have monthly commitments. Is there any possibility of practicing as an estate agent without the internship? or how would one work around this? Hi Kelley, thank you for the comment. No, to be an intern agent you have to be registered as an Intern Estate Agent with the EAAB. To do this, you need to have a job with an EAAB registered agency. Once you are registered, you can start your Internship and studies. Please make use of our Blog tab, and the Contact Us tab above should you need any further advise, we are here to assist. Like so many queries on this discussion board, I really want to attain my Estate Agent Certification and approached the agencies in our town about 3 years ago as I was able to do an internship at the time but they all said they are not taking on interns. It would now not be possible due to work commitments (in the same industry). I am 55 years old and believe not too old to start this journey. I live in a very small town and employment is scarce. I have no problem at all to do as much studying, etc as is required. Hi Michele, thank you for your comment. I would like to ask you a few more questions to understand your situation, can you please click on the contact us page so we can call you and discuss your options? How does one go about qualifieing as a indpendant Managing Agent owning a Managing Agent business . I would have to start from scratch . Hi Dimakatso, if your South African matric shows that you have passed both Maths and a 2nd language, then you can do the standard NQF4 course. However, you need to have a mentor (Registered full status agent for over 3 years) in the industry to assist you. I will give you a call to discuss this further. Thank you for contacting us! I have been a real estate agent in California, USA from 2009 to 2015. (My license in US is still valid) I now have a permanent residence in South Africa and I want to acquire a license here. If so, please let us know what procedures are available to obtain the license. Please help me for that. Hi Eliot, you need to register as an Estate Agent through the EAAB. To do this, you need to have a job with an Estate Agency. This is your first step. Once you are there, you can start your Intern Logbook through PropAcademy, followed by your NQF4 and then your PDE4 exam. Once this has been done, you will be full status. The EAAB give you 24 months from registering as an agent with them, to become full status. Please click on the contact us page and send us your details should you need us to call you to discuss this. Hi I really need to know the first step to take in order for me to become a real estate intern. I am in Mtata Eastern cape. Thank you for your message. Your vision is the first step taken, now let PropAcademy help make it become a reality. (1) You will need to get a job as an intern in an estate agency. (2) Secondly you need to apply for the FFC Certificate through the EAAB, thereafter you have 24 months to move from an Intern Agent to a Full Status Agent which is legal regulations. (3) PropAcademy will assist you in registering for an Intern Logbook, and our system is unique and simplifies the whole process. (4) In addition you will register and study your NQF4 simultaneously whilst doing your logbook, and thereafter complete and pass your PDE4 exam, this process is what will make you a qualified Full Status Estate Agent Instead of being overwhelmed, PropAcademy is a great company tool to guide you through the process which will assist in you step by step to reach your dreams! Form more information please contact us via the contact page. The PropAcademy Team. Good afternoon. I am interested in Real Estate course. What are the requirements for short courses and how much does it cost? Hi Caiphus. Please visit our homepage http://www.propacademy for a full process on real estate courses and qualifications needed in the real estate industry. To become a real estate agent you must be employed by a compliant estate agency. Once you are employed you must register with the estate agents afffairs board for a fidelity fund certificate (FFC). Once you have this FFC you must then produce an Intern Logbook PoE which is documented proof that you have been active as an intern agent in the field and that you understand the concept of property. PropAcademy supply a course for this, look under our courses tab. Once you are three months into your intern logbook, we suggest you then start on your NQF4 Real Estate qualification which you should finish within your first year as an agent. Once done you still have to write an exam set by the EAAB called PDE4. You pass this and then become full status. After you are full status you can continue to study to be a principal (own or manage an estate agency) or you can do courses in other aspects of real estate such as commercial & industrial, facilities management etc. Please contact us to discuss further on 0861112281 or go ahead and register online. Property is an amazing career and we hope you choose this path. I would like to get into buying properties in a portfolio and believe it would be in my interests to study the estate agent course material without actually, becoming an estate agent. How can I go about this. Hi. I would to do the course and became an estate agent but can i do this as a part time job. Hi Zaheera. Property is a great industry to get into and we welcome you. You will have to find an agent in your area that you can work for as an intern. Generally estate agency offices welcome assistants. Please pop us an email at [email protected] and give us your cell and preferred time you would like us to call. Im currently working as an intern but have not completed my matric. What are my options in this situation? You have options! We run a short course for matric Mathematics and Literacy which you must have to get onto your NQF4 qualification. Let us help. Please go ahead and enrol online for the NQF4 course. Please call us should you have any queries at all – 0861112281 – we are here to help. Hi Liz, thanks for your enquiry. I need more information from you to assess your situation and you are welcome to call me 0824146686 or [email protected]. I see you have the old Board Exam so that means that you held a FFC as an Estate Agent. What years did you hold a FFC and when you wrote and passed the Exam do you a) have proof of this and b) what was the status of your FFC in the year you wrote the exam? hi my name is Ivan Hirwa,im currently finishing my matric this year.And i was wondering is it harder for a foreign national to become a real estate agent here in south africa? Hi Ivan, if you have the correct documentation it should not be hard to start applying for jobs as an Intern Estate Agent. Once you are registered as an agent, we can assist you with staying compliant. Looking forward to it!